It’s been a while since we last praised food trucks, and what better time to do so again than ninth week? The last thing you want to do is cook or eat Cup Noodles again, and the first thing you want to do is devour some delicious grub and find any excuse to leave the confines of your desk or the library. Food trucks are a convenient and fun way to dine … when you can find them. These eateries-on-wheels can be a little hard to locate since they’re always on the move. That’s why Mojo has done all the research for you. We’re sharing five food trucks near UCLA (easy to reach either by foot or the Big Blue Bus) that you should visit this week. From Point A to Point B: Which Transport App Should You Use? For many students, the words “Uber,” “Lyft” and “Sidecar” mean little, but the long-term savings they accumulate for car-less students who choose these transportation apps instead of traditional cabs are truly substantial. These lower-cost transport alternatives consistently charge less than taxis for the same distance. 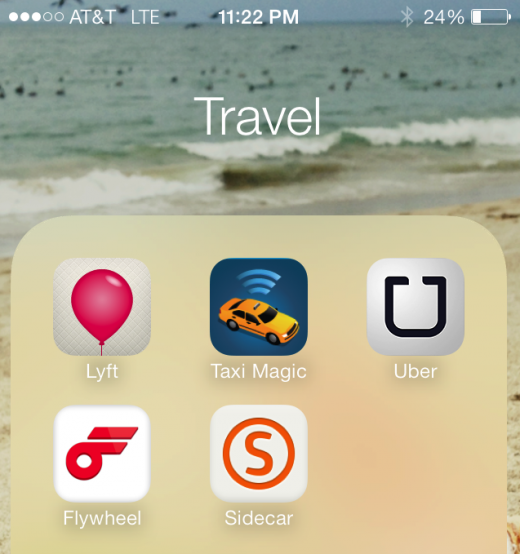 Competing mobile transport apps include Flywheel and Taxi Magic, both of which work by connecting app users to conventional cab companies. With a credit or debit card number, a smartphone in most cases and perhaps a Facebook profile, you can find yourself on the go in a matter of minutes, with no cash in hand necessary! Here’s the lowdown on each of these apps, based on my personal experience, for the time-starved Mojo reader. Empty fridge? You could’ve had cup noodles if you hadn’t devoured the last three during your last all-nighter. And you’ve got cereal, but no milk. You can choose to stay in denial about that empty fridge of yours. Swing by a friend’s place. Hey, we won’t judge you (and your admitted grocery laziness). But not all of us have friends that love to bake on a daily basis. As you probably already knew, you’ve got a few options in Westwood, and Mojo is here to help you make the best grocery decision for the needs and wants of your taste buds (as well your wallet). Are you gearing up for your bike ride to school but notice that your bike is looking a little “tyred” lately? Bike puns aside, maybe you ought to stop by the UCLA bike pit stop this week for some complimentary bike service. 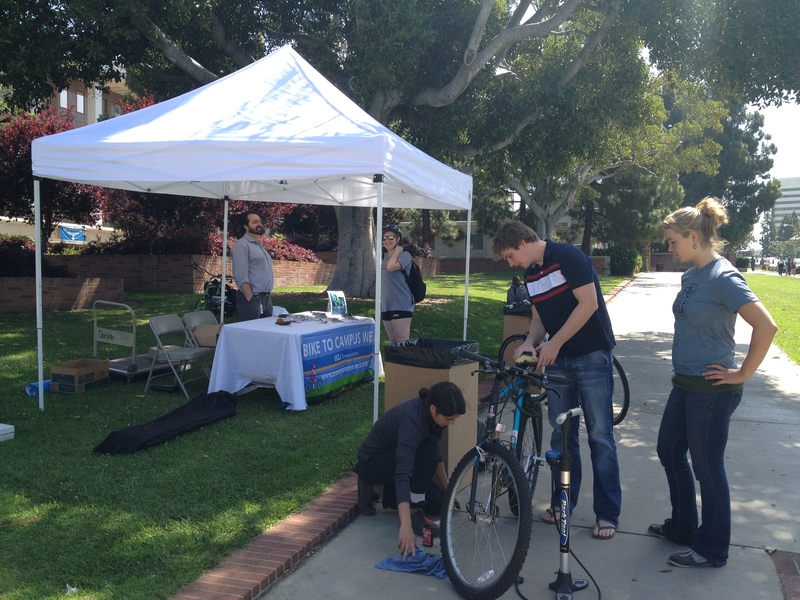 The pit stops, which can be found at different locations in Westwood throughout the week (see below), offer refreshments, free bike gear and information, as well as bike tune-ups, courtesy of the UCLA Community Bike Center. It is one of many biker-friendly events taking place for the annual Bike to Campus Week. “We just wanted to show a little TLC to the bike community,” said Michael King, a transportation planner for the UCLA Transportation. More than 40 people checked in to the pit stop for repairs Tuesday, King said. 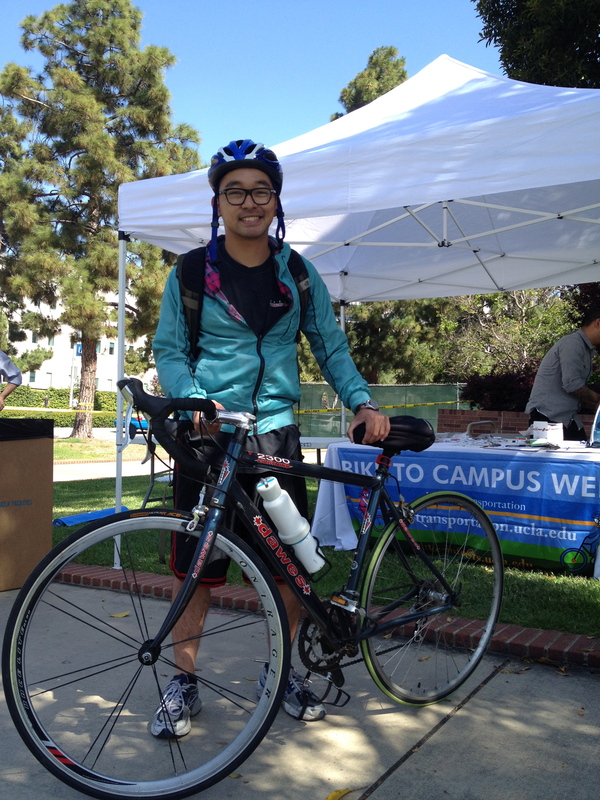 UCLA alumnus David Duong noticed the pit stop on his morning ride to work, and the mechanics fixed his derailleurs (for any non-bikers, it is basically the part of the bike that helps switch gears). Duong commutes every day from his home in Santa Monica to his job in the marketing department at the UCLA Anderson School of Business. He said he decided to start biking to work when gas became too pricey. The ride to UCLA is quick and enjoyable, he said. He carries only a backpack with his business suit tucked inside. Most of the bikers that stopped by had bikes that needed minimal repairs, such as Duong’s derailleur issue, said bike mechanic and third-year geography student Sophia Forde. For bikes that needed more intensive repairs, Forde recommended bike owners to the UCLA Community Bike Center, located in the John Wooden Center. The shop conducts full service of bikes and also provides tools for students who want to work on their bikes for free. The Metro is also providing free bus rides for bikers on Thursday. Also, check out this column by Elizabeth Case about UCLA’s efforts to become a more bike-friendly campus and her tips for the best biking routes around Los Angeles. Did you check out the pit stop? Do you bike to UCLA on a regular basis? Send us a photo of you on your daily bike route to our Twitter @dbmojo or comment below with your experiences.